A map showing the locations of national park sightseeing spots is included. Click the link below to view in PDF Format. Access routes are examples. For more information, please inquire with each transportation facility or check their website. *The time required in each section is a rough indication. 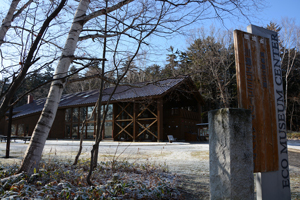 The Akankohan Eco-museum Center introduces the natural environment in the western area centered around Lake Akan in the Akan-mashu National Park. The volcanic collapse terrain (caldera) centered on Lake Akan, a deep lake and marshes capturing the original landscape, and the wildlife supported by rich environment. Experience the many miracles hidden in the story of Akan's natural environment. 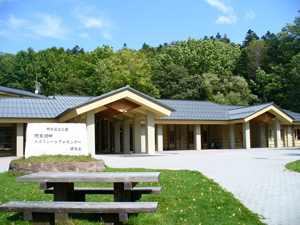 The Kawayu Eco-museum Center introduces the natural environment of the mashu (Kawayu) area centered on the Kussharo Caldera. Collect information here first when visting mashu (Kawayu). 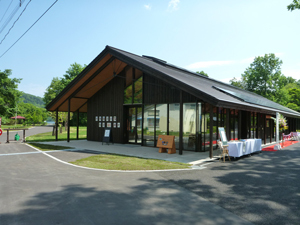 An eco-museum center introducing the plant and animal life of the Wakoto Peninsula, and providing information on the natural environment. Collect information here first when visiting the Wakoto Peninsula. Samples of trees and wild birds are also on display.